These delicious fava beans have a sweet, earthy flavor. We love using them in bruschetta's or dips slathered on top of our Sullivan Street Bakery breads. 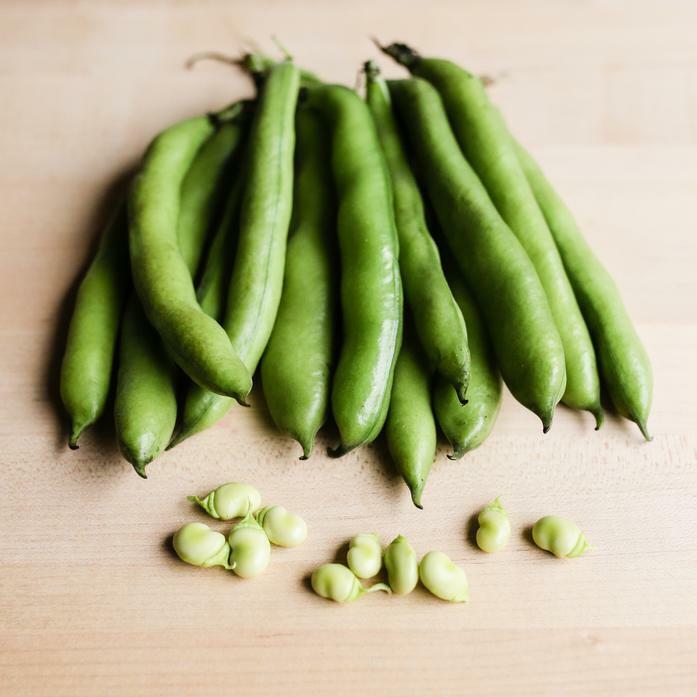 Prepping favas requires a three step process: remove the beans from the pod, quickly blanch the beans in boiling water for 30 seconds, then drop them into a bath of ice cold water, finally remove the waxy green skin from each bean. They may require a lot of labor, but the results are incredible!